Born in Ballyshannon, County Donegal, he was playing his first real acoustic guitar (it replaced an earlier plastic one) by the time he was nine, regaling relatives with cowboy tunes and Irish folk songs. He remembers enjoying Elvis, Buddy Holly, and Chuck Berry, and getting into blues the traditional second-hand way; hearing Leadbelly and Woody Guthrie thiough skiffle player Lonnie Donegan. 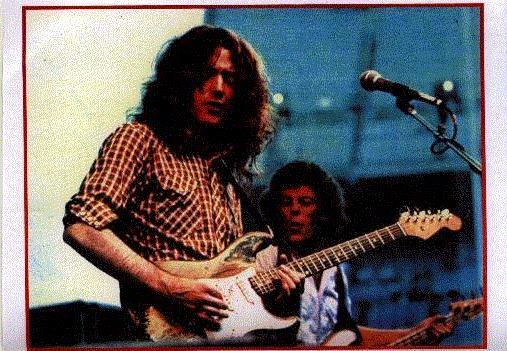 Rory joined an Irish show band at the age of fifteen while attending school because it was the only way at the time to play constantly and keep himself in guitars and amps. With the Fontana Show Band, Rory was able to tour England and Ireland and attune himself to life on the road (which still doesn't faze him). After touring Europe with the show band's bass player and drummer, Rory formed the original Taste in 1965, a legendary Irish blues-based band featuring Eric Kitteringham on bass and Norman Damery on drums. Now Rory Gallagher is slap bang in the middle of his most traumatic year since he split up Taste as they were on the verge of touching their peak, back in 1970. Striving to realise his vast potential once and for all, Gallagher has decreed that 1978 is to be a year of drastic change. To measure the meticulous with which Rory has been re-plotting his career, you have only to consider that his last album, " Calling Card", which in itself marked a slight change in musical direction, was realized in October 1976, two years ago. The intervening period has seen Gallagher cut down on touring substantially and return to Ireland for a re-think. The results are now beginning to emerge. He came back to Britain for a brief tour earlier this year, which, in retrospect, can be viewed as a good-bye to a four year period. Shortly after the final concert of that tour, a raucous event at the London Hammersmith Odeon, Gallagher took time off and made his momentous decision. The time had come, he felt, to make a clean sweep. Drummer Rod DeAth and keyboard player Lou Martin would be departing but bass player, Gerry McAvoy, who has been at Rory’s side since the split with Taste, was to be retained. The new album, “Photo Finish”, was originally to be released almost a year ago and Rory had spent some time in California recording. 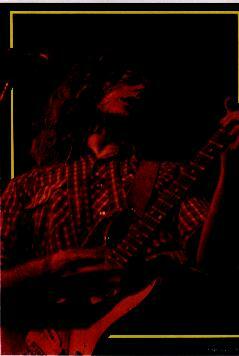 Then came the news that the album would be delayed because Rory had damaged his hand in an accident. © Danny Clifford 1978-2002 www.dannyclifford.com In the middle of it all came the news that the band was to split and obviously, there would be no recording until Gallagher had settled for a new combination of backing musicians. Here he caused another surprise. Instead of expanding the band - there was even talk of a brass section at one stage - Rory decided to return to his original format, opting for a three-piece, guitar, bass and drums, which was how his band was in the beginning. 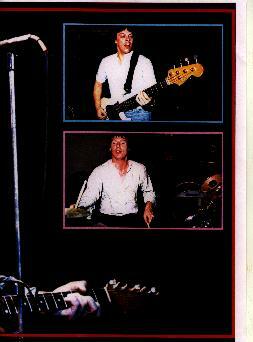 To complete the trio, he picked up drummer Ted McKenna, formerly the solid backbone of the Sensational Alex Harvey Band. Rory’s career was back in full swing again. The time came to re-record his new album and Rory searched for a producer. Eventually, he wisely decided on an engineer who could double as producer and there was no better man available for the job than fellow Irishman, Alan O’Duffy, who had gained invaluable experience working with Paul McCartney and the Rolling Stones. With that, band and producer! engineer, he headed for Germany. 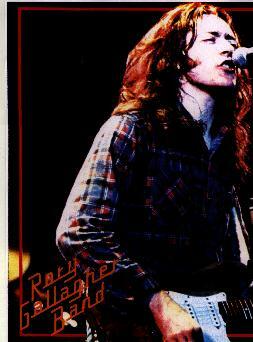 At the end of August Rory Gallagher completed recording ‘Photo-Finish” and this time was satisfied with the outcome. The album is set for release on October 6th. 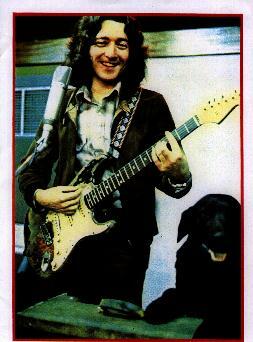 There are nine brand new Rory Gallagher compositions on what will be viewed as a different album. Without shuffling the pack too much, Rory has injected a freshness and vitality in this new album. “Brute Force And Ignorance”, an oddly-twisting rocker that was featured on the last British tour, and the mellow, but forceful, “Fuel To The Fire”, will be seen as Gallagher classics with time. But really, we shouldn't be too annoyed that Rory has fused so much over this new collection. He wants to put his recorded work on a par with the brilliance and electricity of his live performances. He once said that being called “good old hard-working Rory” was nothing more than a back-handed compliment and with “Photo-Finish”, he proves that there is much more to his character than merely being a minstrel on tour for the rest of his life. Accepting that, however, Gallagher's past track record shouldn't be ignored. Each of his albums have offered something new, “Calling Card”, don't forget, had Rory adventurously drifting into a bit of jazz while “Against The Grain” was a perfectly valid attempt at recreating a live sound in the studio. 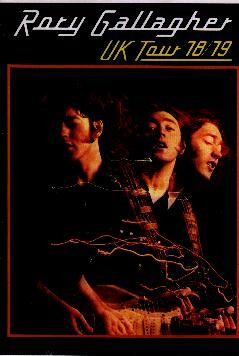 Rory Gallagher is a man with history, starting with the pioneering days back in Ireland with Taste. In 1978, he is destined to place himself on a new plateau and “Photo-Finish” could just be the perfect launching pad to open a new era for Gallagher, both as a songwriter and a musician. This program was provided by a "Continental Op"
THANKS A MILLION my friend! !